There are very few ways to serve others in this world that are more fun and impactful than working with children in your local church. Whether you’re a “professional” receiving a paycheck for your leadership in the children’s ministry, or a volunteer that is paid in smiles, goldfish crackers, and high fives, working with kids to help them develop spiritually is simply fantastic. However, the amazing world of kid’s ministry has changed over the years and many churches realize hitting the bull’s-eye of ministry effectiveness needs to be reconsidered. For years, effective kids ministry was all about what happened inside your church during Sunday School, kid’s church, and midweek programming. If on-campus events were organized, fun, and going well, folks felt successful. Now, many more churches are realizing an important truth: It’s not enough to just do well with the time we have them at church. Think about it: if kids came to everything your ministry does in a given week, you may have at most 3 hours per week (or less with today’s attendance patterns) to engage them in discipleship activities. This amount of time is simply not enough to adequately teach boys and girls how to love God, to hear and recognize His voice, and to learn to obey what He says. Even if your leaders knock the ball out of the park in their teaching environments every week, the culture kids live in today overwhelms them with many other messages and entertainment options to “wash away” the efforts you and your leaders have made. The shift churches are making is to be ever more intentional about partnering with parents. To partner with parents you do have to ensure the ministry programs you are providing in your church are faithfully teaching God’s Word, but you also need to have intentional plans to position parents as the spiritual leaders of their kids. In addition to teaching kids the Gospel and how they can respond to it, it’s vital for dads and moms to see themselves as a pastor to their own children. If you are at all like me, sometimes we know we need to do something new, or make adjustments to something we are already doing to bring new life and energy to an area of the children’s ministry. 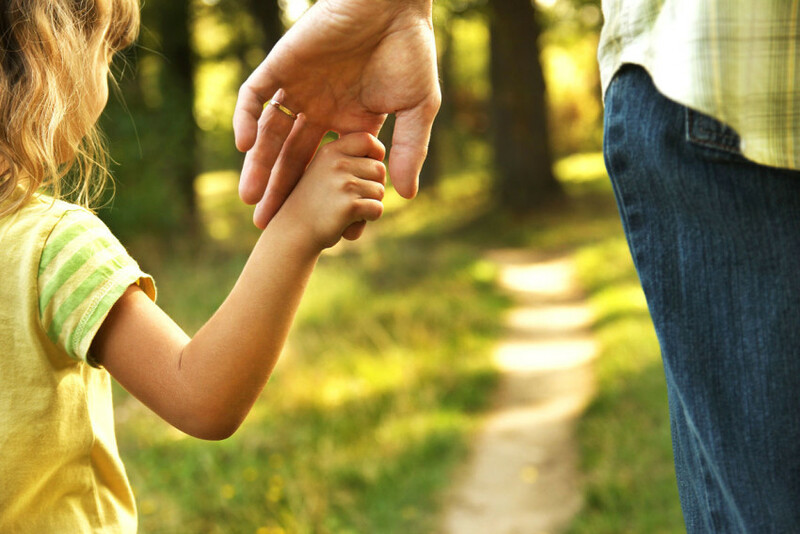 Here are five ways to help parents lead their kids to God I hope will be helpful to you. Pray—This one may seem like a given, or even a cheap way to be able to list five ways instead of only four, but it’s not. Children’s ministry leaders can get so busy doing ministry and working hard, we can sometimes forget to pray. Now, I’m not talking of the prayer of desperation children’s ministers pray at times. “Lord, pleasssssse send me more workers. Today. If not sooner.” Ever prayed that one? The prayers I’m referring to are short times set aside to seek God’s leadership about this specific topic of helping parents pastor their kids. Pray for ideas, but also pray for divine appointments where God orchestrates opportunities to speak with parents about their kid’s spiritual growth. Encourage—Every week when you are in your church environments, speak to parent and let them know you’re praying for them and their kids. Regularly communicate with parents to let them know they can do it. Encourage them to keep trying to lead, even if it seems awkward or the kids don’t like it. A lot of kids don’t like brushing their teeth but do you know many parents who just give up and let them get away with it? The fact is: we all need encouragement from time to time. Be a force of encouragement for your families. Equip—Assume for a moment this blog post is about helping parents take their kids fishing. If they have no fishing equipment, it doesn’t matter how inspiring your effort is, they can’t go fishing. The same effect is in place for the true topic of this post. Dads and moms have Bibles usually, but there are literally hundreds of helpful tools and resources available. You are the perfect person to make them aware of what’s out there to help them lead their kids. In many cases, you and your church will be able to obtain and put these helpful tools right into their hands for use at home. Decide to become an expert on the tools parent need to pastor their kids. Regularly show them easy ways they can be successful in this important effort. Challenge—Your church has entrusted the children’s ministry to your leadership. Leaders have to say hard things at times. You may be one of the only leaders in a parent’s life who has the opportunity to speak the truth of God’s Word to them. Take time to teach what family ministry passages like Deuteronomy 6:4-7 mean for their family. Challenge parents to think differently about what happens at church. Help them see how spiritual activity in the home and at church complement one another. Illustrate the time disparity between the hours at church and the hours away from church. Repeat—Once you’ve plugged the first four into your ministry mindset, commit yourself to repeat these things with determination and consistency. There will be times you wonder if any parents are listening to you, but don’t lose heart! Continue showing families the vision of what it can mean for their kids if they will begin to see themselves as the primary leaders for their kid’s spiritual growth. The goal to keep in mind is to see kid’s grow into spiritual champions. You and your children’s ministry leaders are important, but the involvement of parents is vital. Steve is the children's pastor at The Donelson Fellowship in Nashville, TN. He is passionate about teaching kids the Bible and encouraging parents to lead their kids spiritually to build a family legacy of faith in God.